Bakubung Bush Lodge, meaning “People of the Hippo”, is situated in the expanse of the malaria-free Pilanesberg National Park. 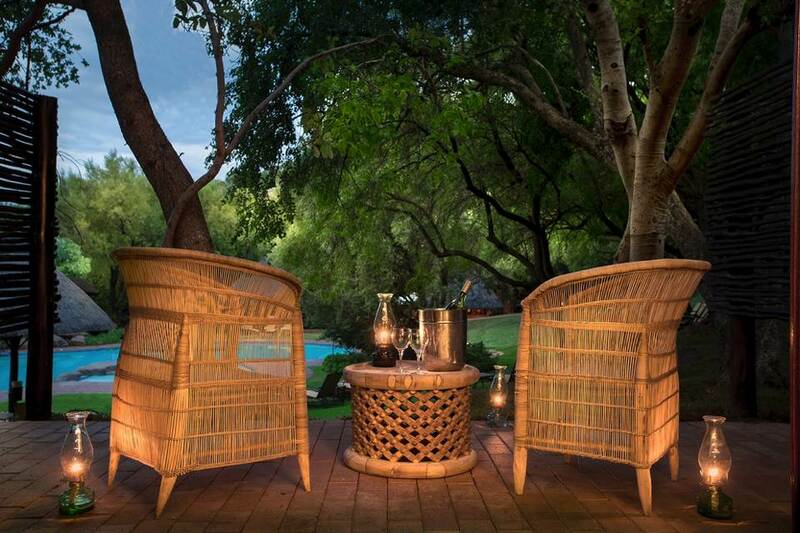 The lodge provides luxury, service and the peace and tranquillity of true bush experience. 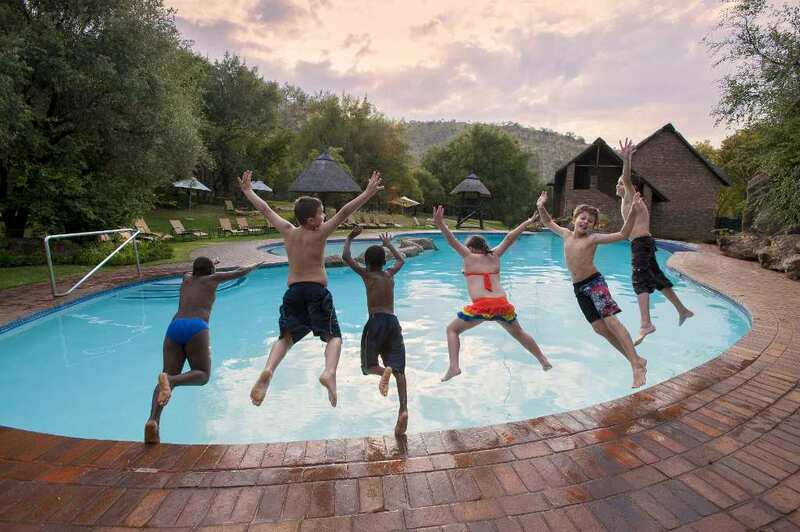 Here you can enjoy some activities including Big Five game drives, bush walks, and boma braais while children can join the junior rangers programme or explore the adventure playground. 76 Standard Studio Rooms (1 wheelchair accessible). Twenty rooms with King Size Beds. Fifty-six rooms with 2 x Double Beds. What sets the suites apart? 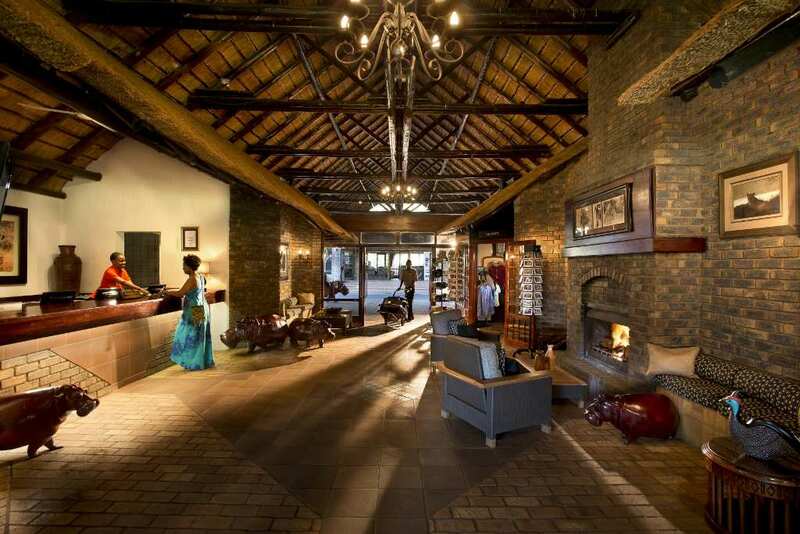 The Bakubung Bush Lodge is known for capturing the spirit of Africa at its boma. Join us for an unforgettable bush dinner. The large and well-run restaurant seats 240 people at a time. The trained field guides can take you on guided bush walks and game drives, showing you the fauna and flora of the area. The Bakubung Bush Lodge has a restaurant that serves breakfast, lunch, and dinner. The restaurant offers a buffet breakfast and either a buffet or Table d’Hôte lunch and dinner. 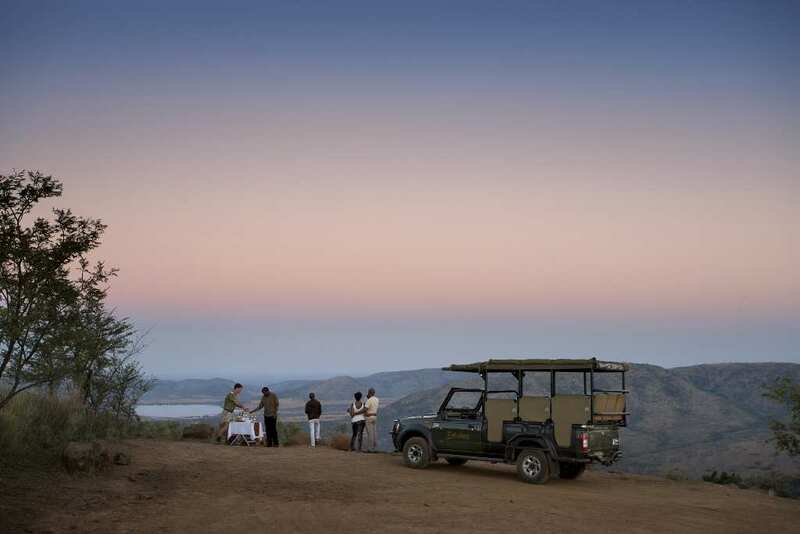 Relax and experience the sights and sounds of the Pilanesberg National Park from a giraffe’s point of view, while indulging in a refreshing cocktail at Thutlwa Pool Bar. The Marula Grill snack menu is available on the terrace from 11h00–21h00. The Motswedi ladies cocktail bar is open from 09h00–01h00 daily. The bar offers a range of imported beers, spirits, wines and cigars. 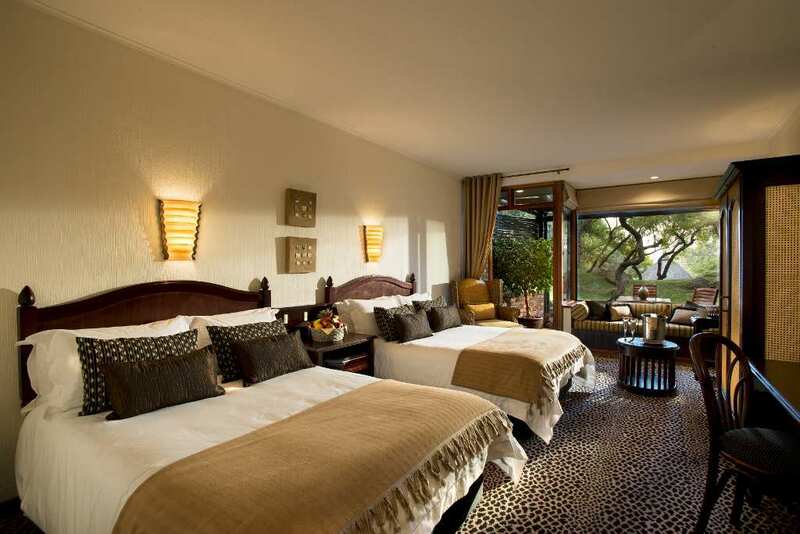 Standard rooms: 2 x double beds or 1 x king size bed. All rooms are en-suite with air-conditioning. Tea/coffee machine, DSTV, phone and hairdryer. All rooms have a balcony or patio with a view. Pool bar & ladies bar. 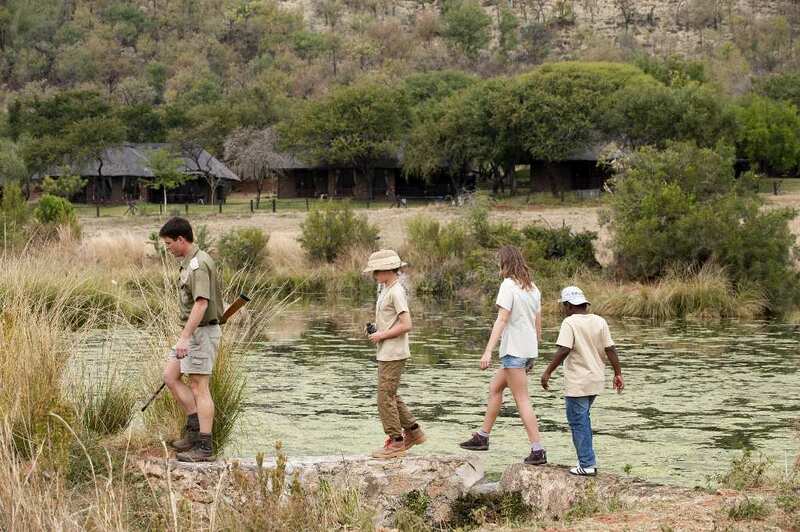 Game drives, guided game walks. The Internet is free and unlimited. Volleyball and a kids’ playground. 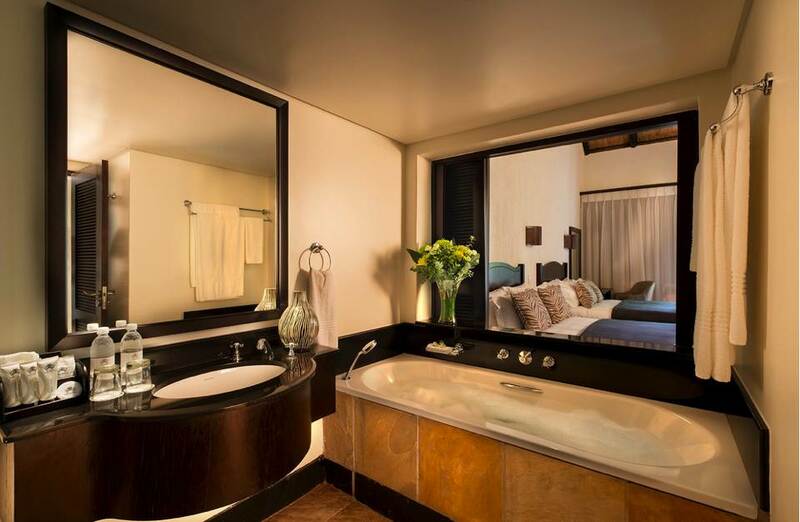 The standard rooms either have two double beds or one king-size bed with an en-suite bathroom and shower. All hotel rooms have doors leading onto either a balcony or a patio. 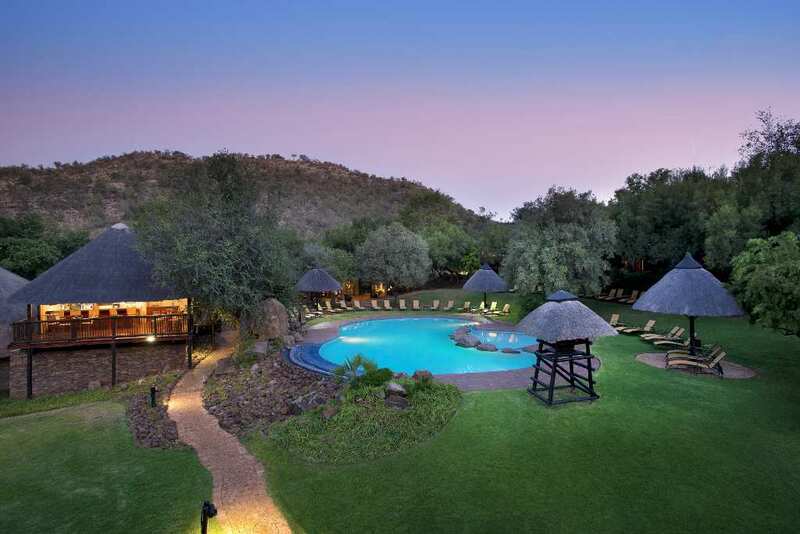 These have beautiful views of the Pilanesberg National Park and the hippo pool. Built-in screen (2,44 x 2,44m) in all conference rooms. Secretarial services (by prior arrangement). Take the N4 toll road to Rustenburg (Bakwena Platinum Highway). Stay on the toll road. Take the Sun City off-ramp (R556 – Sun City/Majakaneng). Turn right back over the highway and follow this road (watch out for speed traps at the villages!) passing three 4-way stops. Keep going until you reach Sun City. 5 km past Sun City – turn right at the Bakubung Gate sign – following the road through the village. Enter the Bakubung Gate and follow the directions to the lodge. Transfers can be arranged before your arrival. 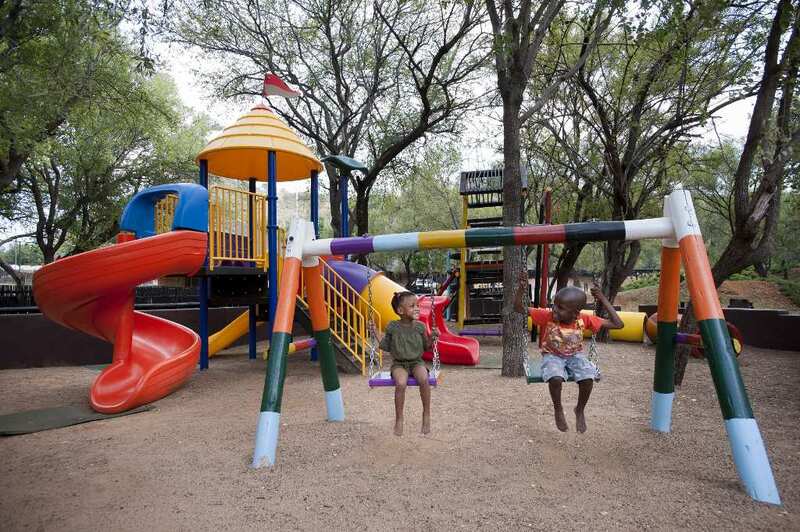 The child policy at Bakubung Bush Lodge aims to act in the best interest and safety of our guests. 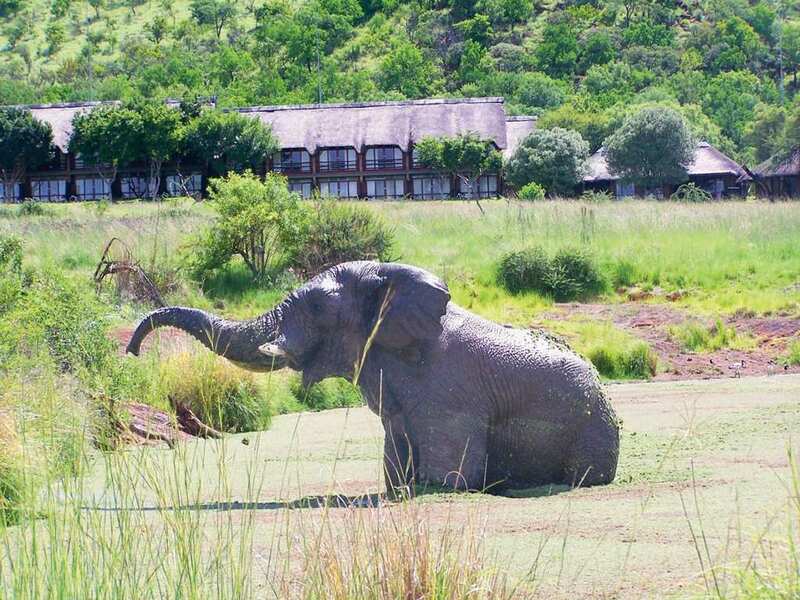 We are located within a National Park and Game Reserve where animals roam freely. Animals are wild and will always react according to their instincts. Children aged 12 years and younger free on a dinner, bed and breakfast basis if sharing with one or two adults. Children 13–17 years will be accommodated free of charge on a room only basis (will be charged 50% of the meal rate if sharing with one or two adults). Children will be charged standard rates for game drives. Children occupying their rooms will be at the full adult rate.